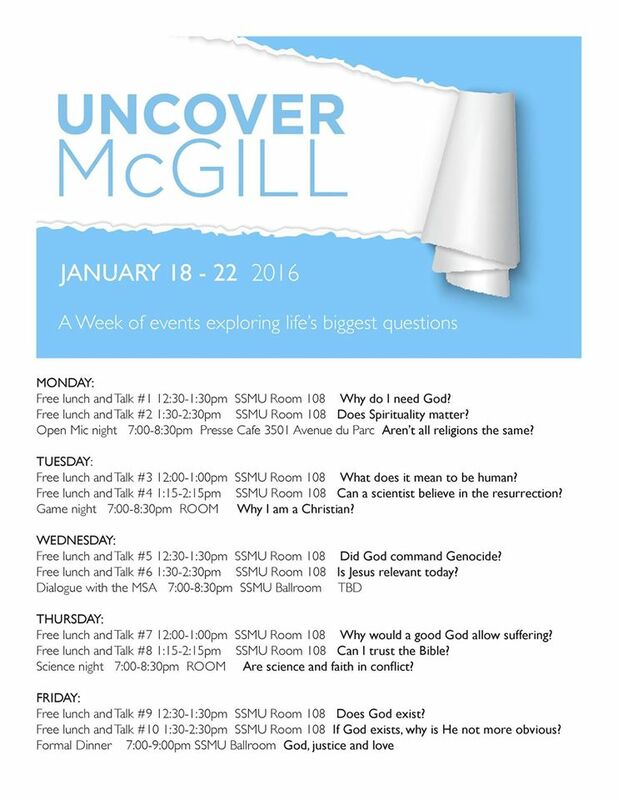 Uncover McGill is a week of events put on by the Christian groups at McGill, including the Newman Catholic Students’ Society, to facilitate discussion and exploration of life’s biggest questions. Each day during the week there will be two lunch talks with free food, as well as evening events. See the schedule to the left for details or visit the Facebook event page. We’ve made sure there’s lots going on to interest everyone, so do come and bring your friends!